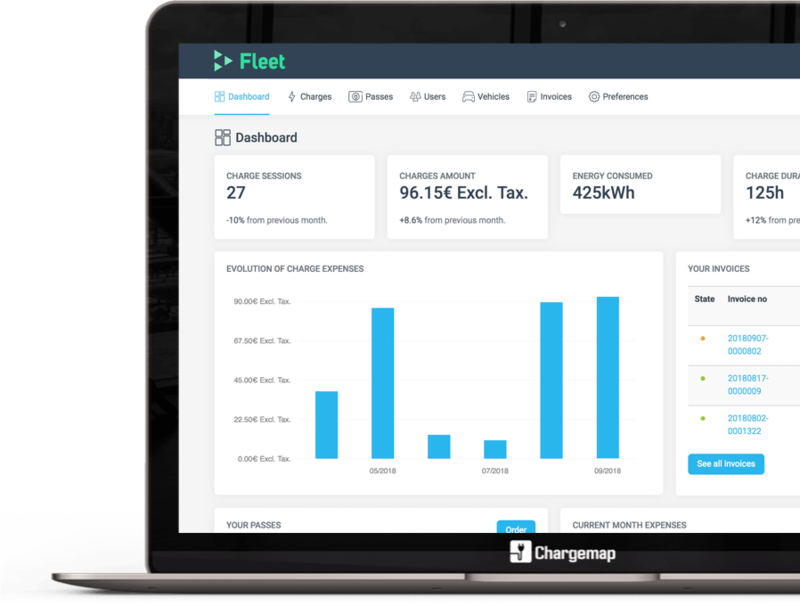 Reduce your employees’ apprehension of converting to zero-emission driving with Chargemap Fleet, the easiest software solution to manage charging your fleet of electric vehicles or plug-in hybrids. Since it was launched in June 2017, the Chargemap Pass for electric vehicle charging has been made compatible with almost 70 networks in Europe, including Corri-Door, the famous network of rapid charging points on motorways. And this is just the beginning: every month, the number of networks compatible with the Chargemap Pass is growing. 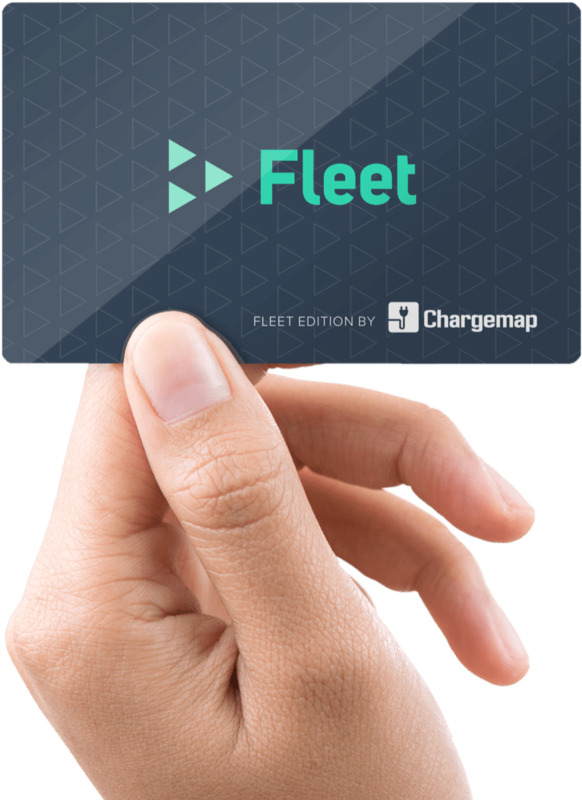 Chargemap Fleet allows you to order or assign passes to your employees with a single click, 24 hours a day and 7 days a week. And if one of your passes has been lost or stolen? Simply block it immediately via the online interface. 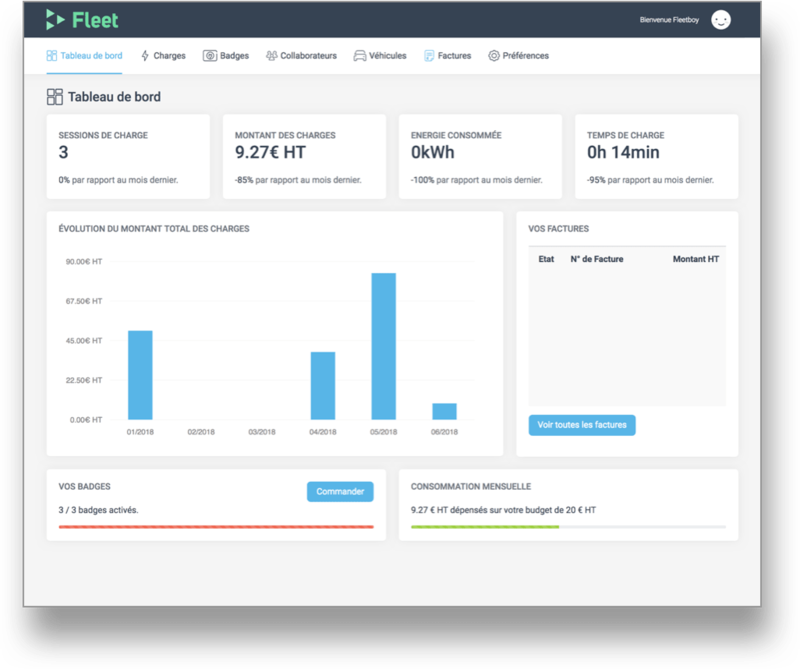 Location, amount, duration: Chargemap Fleet allows you to easily monitor all charging of your fleet. A dashboard enables you to visualise changes in your expenditure in real time. No need to advance funds to charge your vehicles: we do it for you! You receive a clear and detailed invoice each month. In case of budget overruns, you are immediately notified so rapid action can be taken. Data relating to your employees and fleet is protected. 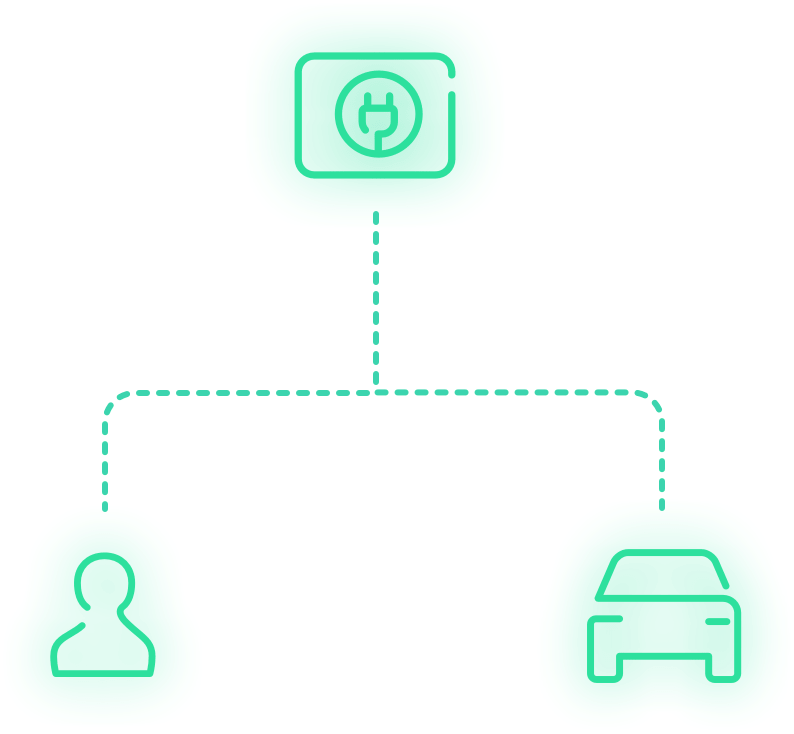 The top-rated app in its category, the Chargemap mobile app will allow your employees to find not only all charging stations accessible with the Chargemap Fleet Pass, but also tens of thousands of free charging stations. This perk is only offered by Chargemap. 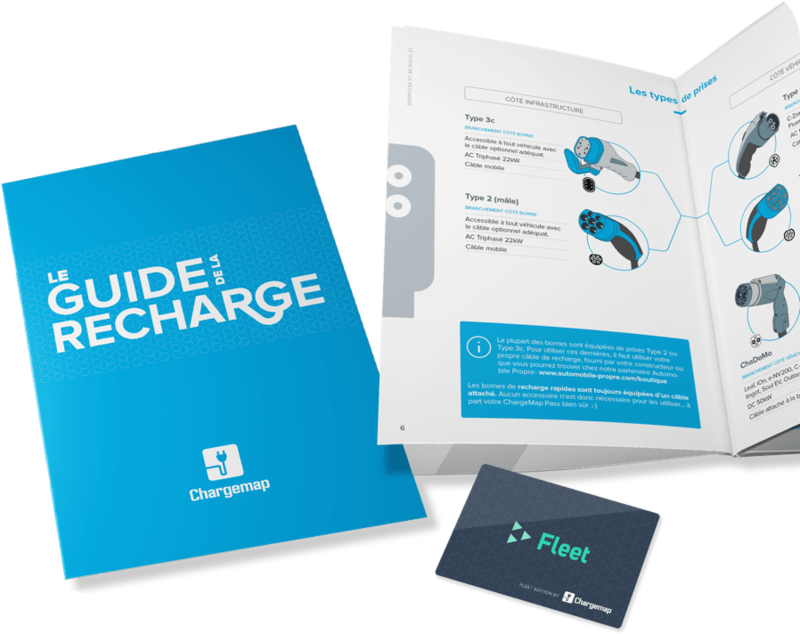 With each Chargemap Pass, you will receive an Electric Charging Guide, a 16-pages handbook with tips and tricks that will help your employees understand and overcome the pitfalls of electric charging. 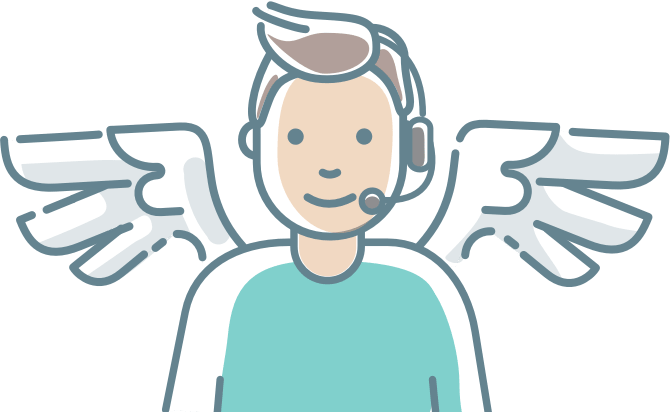 You and your employees will benefit from Chargemap Support: Chargemap experts will assist you with any problem encountered with a Chargemap Fleet Pass. Nothing beats a live demonstration : contact us to discuss your project and plan your demonstration.